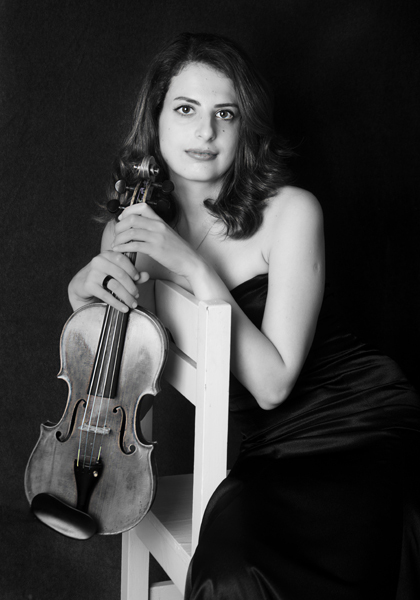 Turkish violinist Ezgi Sarikcioglu is currently studying Master of Performance with the internationally renowned pedagogue Itzhak Raskovsky at the Royal College of Music, London, where she is an RCM Award Holder supported by the Houston Family Scholarship and The Royal College of Music. She is a scholar of the Association of Contemporary Education (Çağdaş Eğitim Vakfı), which is sponsored by QNB Finansbank, Ezgi is also generously sponsored by Dr. Nejat Eczacıbaşı Foundation and Talent Unlimited. Ezgi plays on a violin by Jean Baptiste Vuillaume, Paris 1850 and a bow by Baltitude and gratefully acknowledges its loan from RCM, London. 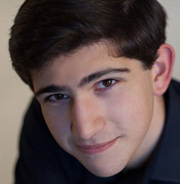 Ezgi previously studied at Çukurova University State Conservatory and Istanbul University State Conservatory with Ferhang Huseynov and Sevil Ulucan Weinstein. Ezgi Sarikcioglu graduated from Istanbul University State Conservatory from Sevil Ulucan Weinstein’s class with the highest mark. 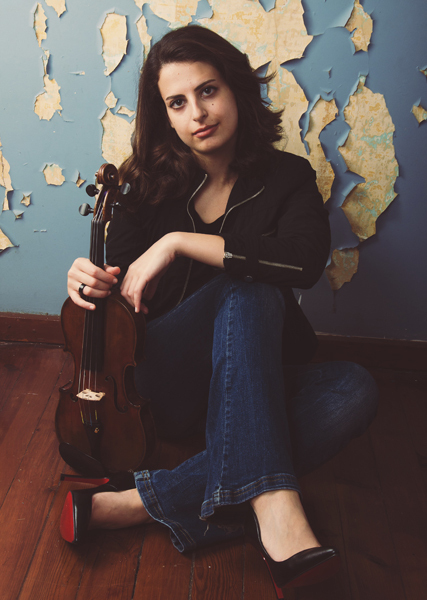 Ezgi has performed in several concerts in various festivals including Great Bolgar Music Festival in Russia-Kazan, Istanbul Galatasaray High School with pianist Can Okan, and the İş Sanat Parlayan Yıldızlar Concert Series with Gülnare Şekinskaya. Furthermore, she has performed Vivaldi’s Concerto for Two Violins with distinguished violinist, Cihat Aşkın and Karşıyaka Chamber Orchestra conducted by Rengim Gökmen. Ezgi is a recipient of several prizes including the 1st prize at Berlin International Music Competition - Sforzando, the 1st prize at the Internet Music Competition, the 1st prize at Paris Slave De Musique Conservatory competition “We Play Together”, the 2nd prize at 10th International Independent Music Competition “Individualis”, the 1st prize at Turkey/Edirne Mimar Sinan Rotary Club Organization “19th International Young Musicians Chamber Music Competition” with Spettro Quartet. Additionally, she was awarded by Istanbul Foundation for Culture and Arts, and supported with Women Stars of Tomorrow, Young Musicians Support Fund. 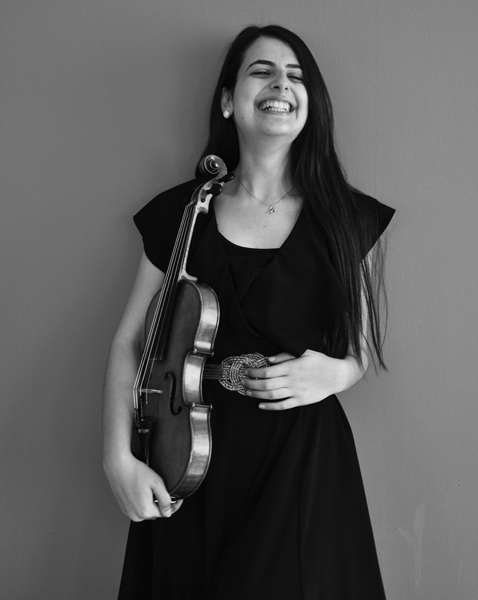 Ezgi has participated in several masterclasses and had lessons with many outstanding violinists such as Lukas David, Pierre Amoyal, Ani Schnarch, Cihat Askin, Hakan Sensoy, Shlomo Mintz, Zakhar Bron, Victor Danchenko, Mincho Minchev, Ellen Jewett, Angel Stankov and Davide Alogna. 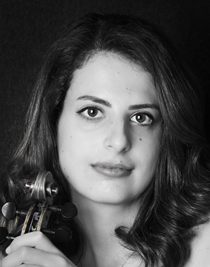 Additionally, she has been receiving regular coaching sessions with prominent violinist Cihat Aşkın since 2013.